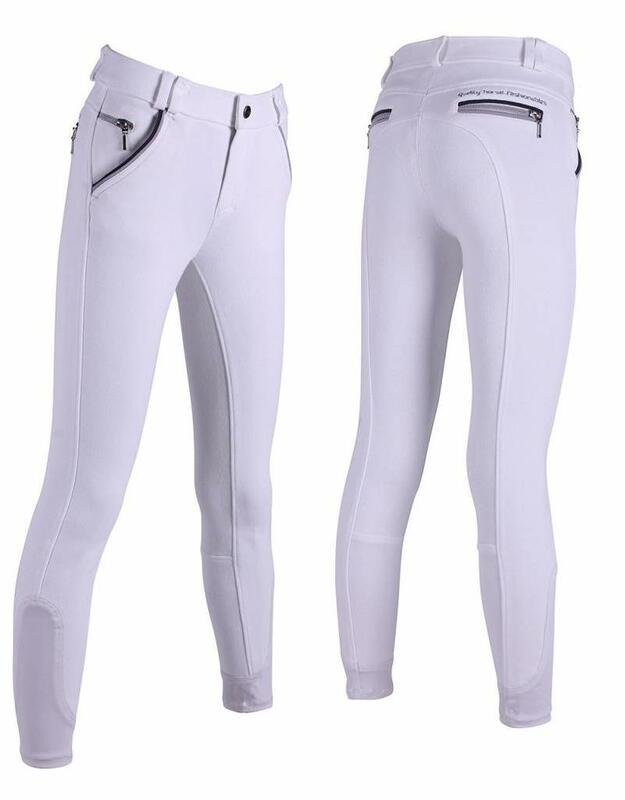 These boy's breeches feature a full anti-slip seat. With two pockets on the front and fake zipper pockets on the back, which all features two coloured pipings. Also features a zipper coin pocket.